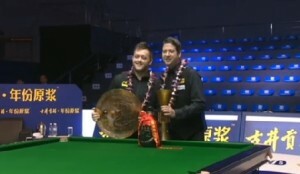 At his best a player more than capable of beating anyone, Matthew Stevens has experienced a tough time in recent seasons but is now very much a contender again as he demonstrated by winning the 2011 Championship League title. A particularly good break builder, Stevens has a strong all-round game that makes him a very tough player to beat when on form. 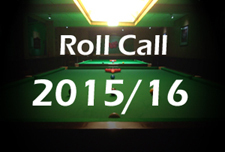 When considering his weaknesses the one that springs to mind is his ability with the rest, something that he appears reluctant to use, instead using a longer extension on his cue whenever possible, or even choosing to play shots left handed. A promising amateur, Stevens turned professional in 1994 at the age of just 16 and was immediately able to win matches. His most impressive result early on came when he won the Benson & Hedges Championship during his second season, qualifying for the prestigious Masters tournament in the process. His ranking continued to steadily improve before he made a real step forward in the 1997/8 season, reaching two ranking event semi-finals as well as the quarter-finals of the World Championship at the first attempt. This he managed to repeat the following year, though the real highlight was to be his final appearance at the UK Championship where he was to lose to world number 1 John Higgins. Now up to a career high ranking of number 9, inside the elite top 16 for the first time, Stevens was to win his first major event at the Scottish Masters as well as making the final of the UK Championship for the second year in a row. 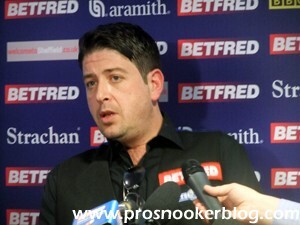 Indeed Matthew was to earn a reputation for being stronger in the longer format matches such as at the UK Championship and the Masters, the latter which he won for the first time in January 2000. 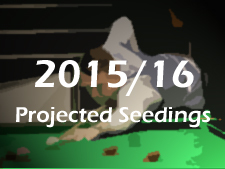 He reinforced this view later that year at the Crucible when he went all the way to the final for the first time. Heartbreak was to come however as having led fellow Welshman Mark Williams 10-6 overnight and 13-7 at one point, Stevens surrendered his advantage and slipped to an 18-16 defeat. Still his ranking was up to number six and the future looked bright. Performances during the next couple of seasons were not to be as consistent, though he was able to comfortably maintain a spot inside the top 10 of the rankings. 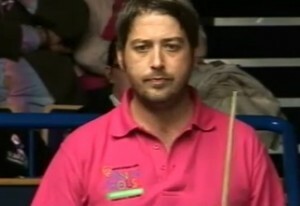 He again made the semi-finals of the World Championship in 2001 and 2002 but the unfortunate death of his father and mentor Morrell undoubtedly had an effect on Stevens and his results were to suffer in many of the season’s other ranking events. “I’ve won my first ranking tournament and am glad to have that out of the way. “I’m enjoying the game a lot more. Matt was to earn another shot at the world title at the 2005 World Championship when he fought his way to a second final at the Crucible. Facing the unseeded Shaun Murphy in the final, Stevens was a strong favourite to finally fulfil his potential and take that first world crown following several near misses in the past. Unfortunately for Matthew however, history was to repeat itself as Murphy produced a brilliant display of attacking snooker to win the match 18-16 having at one staged trailed 18-16. Despite being up to number four in the rankings and winning the invitational Northern Ireland Trophy at the start of 2005/6, Stevens’ form was to drop off dramatically and within two seasons he found himself out of the elite top 16 for the first time this decade. He had a chance to return immediately at the end of 2007/8 but following his first ever last 32 defeat at the Crucible to John Higgins in 2008, he fell just short of doing so and finished in 17th position. He did however enjoy something of a return to form at the 2008 Bahrain Championship when he defeated Stuart Bingham, Ryan Day, Dominic Dale and Stephen Hendry to reach his seventh ranking event final, his first since 2005. Despite fighting back from 4-1 to lead his opponent Neil Robertson 7-6 though, he eventually lost out 9-7 and had to settle for the runner-up spot. Following such a run many had expected Matt to push on for the rest of the season and challenge strongly for a top 16 place once again but for whatever reason it did not quite come together. The end of his season was summed up by his final match which saw him lose heavily to the in-form Martin Gould during the World Championship qualifiers, meaning that he would not be at the Crucible Theatre for the first time in 12 years. The result also ensured that he would finish the season ranked down in 26th place and as a consequence would have to qualify for events once again in 2009/10. Having struggled for consistency at the qualifiers during the previous two seasons, three wins from three matches played at Pontin’s during the first half of the 2009/10 season indicated that perhaps now he was beginning to acclimatise to the holiday venue. His best run was a last 16 appearance at the season-opening Shanghai Masters where he eventually lost out to compatriot Ryan Day. Although he managed to repeat this feat at the Welsh Open to leave himself in contention to move back up into the top 16, these hopes were to be dashed as he lost his opening China Open and World Championship matches, the latter a 10-9 defeat to Marcus Campbell following a nine hour match. With the introduction of the new Players Tour Championship, Matthew began the 2010/11 campaign in much-improved form as he consistently won matches during the Players Tour Championship ahead of the first seedings revision after the EPTC2 event. Matthew also enjoyed a strong run at the Shanghai Masters tournament where he reached the quarter-finals to give him a real chance of moving up into the top 16 and secure a place at the Wembley Masters. Unfortunately however, having defeated countryman Darren Morgan in the previous round, Matthew lost out to Alan McManus at the last 32 stage of the World Open to unfortunately leave him with too much to do if he was to leapfrog Marco Fu into 16th position at that stage of the season. Unlike during the previous campaign though Matthew was to maintain his level of form through to the end of the season, qualifying for each of the seven major venues. His best run on paper was to be his quarter-final appearance at the Welsh Open but it was to be what happened after that which stood out the most. The thrilling end to Matt’s season began at the World Championship qualifiers where he faced Irishman Fergal O’Brien for a place at the Crucible. Having led a high-quality match throughout, it appeared as though the 16th frame might have proved pivotal as having had the chance to go two up with three to play, a failure to escape from a snooker by Matt left Fergal with a free ball from which he would clear to level at 8-8. As the next two frames were shared it was again Fergal who pulled clear in the decider following a little help from a fluke but thanks to a gutsy attempted clearance from Stevens, the frame was ultimately to come down to the final black which Matt was able to pot to clinch a vital victory. That however was to prove just the beginning as Matt then had to make the trip from Sheffield to Dublin to compete in the PTC Grand Finals tournament which he had qualified for earlier in the season. Victories against Gerard Greene, Dominic Dale and Marcus Campbell were enough to take him through to the semi-finals but not for the first time he was unable to overcome opponent Shaun Murphy who recorded a 4-0 win. Matt was not to have long to recover as he was in action again the very next day in Essex during the final group of the Championship League tournament. 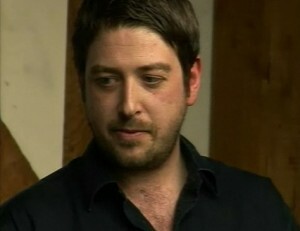 As it was to turn out, Matt was not only to emerge victorious from the group with victory against Liang Wenbo but he was then able to come through the winner’s group by gaining revenge over Shaun Murphy to take the £10,000 prize as well as a place in the following season’s Premier League. Something had to give however and although Matt completed a long drive up north to finalise his visa for the upcoming China Open tournament on the night of his Championship League triumph, his performance out in Beijing was to prove erratic as he scored during nine points against Stephen Hendry at the last 32 stage. Paired with Mark Allen at the Crucible, many had fancied Matt to come through against a struggling opponent to secure a place inside the world’s top 16 and as he moved into a 9-6 lead he looked to have the match under control. Unfortunately there was to be a twist in the tale though and with daughter Lauren watching from the front row it was Allen who powered back to take a dramatic 10-9 victory. It was a disappointing way for what had been a successful season to end but Stevens had at least done enough to secure his long awaited return to the top 16 at the end of the campaign by moving up to 14th position. After an uneventful start to the season, Matthew impressed at the Shanghai Masters with wins against Stephen Lee and Martin Gould seeing him into the quarter-finals, where he was to lose 5-0 to old rival Mark Williams. From there Matthew’s best performance during the remaining events of 2011 was to come at the PTC7 event in Gloucester where he made it through to the final with wins against the likes of Ali Carter and Shaun Murphy, only to be denied the title by Ronnie O’Sullivan. At the UK Championship Matthew won his opener against Marcus Campbell to set up a tie with Ding Junhui, who would eventually come through a 6-5 winner. 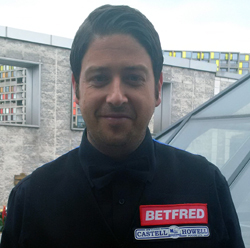 During the second half of the season, Matthew was able to reach the quarter-finals of the German Masters in Berlin before losing out to eventual champion Ronnie O’Sullivan, before going one step further at the Crucible when he defeated Marco Fu, Barry Hawkins and Ryan Day to reach his sixth semi-final at the venue. Again though, the result was to be the same as in Germany, a 17-10 defeat to Ronnie O’Sullivan who would then go on to claim the title. 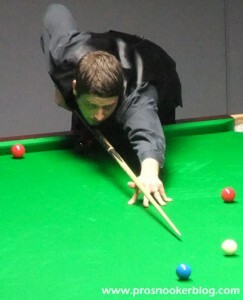 Following his Crucible run, Matthew was to make a slow start to the 2012/13 season, last 16 runs at the Australian Goldfields Open and International Championship tournaments representing his strongest performances, while his best result during the PTC events was to be a last 16 run at the APTC2 tournament in China. At the UK Championship in York, Matthew was able to defeat both Dominic Dale and Marco Fu to reach the quarter-finals, but there was to be no repeat of his 2003 triumph as he lost out to Mark Davis 6-4. 2013 was to see Matthew reach another ranking event final, as he defeated David Gilbert, Shaun Murphy, Judd Trump and Neil Robertson at the Haikou World Open, before losing 10-4 to defending champion Mark Allen in the final. As well as a quarter-final run at the German Masters, this result ensured that Matthew would remained ranked inside the world’s top 16 players at the end of the season, despite opening round defeats at the China Open and World Championship events to round off the season. Matthew’s best result during the 2013/14 season was to come early on, as he won five matches to reach the semi-finals of the Wuxi Classic, before losing 6-2 to old rival John Higgins. Otherwise however, it was to prove a season to forget for Matthew, as he reached the last 16 stage of just one further ranking event, the International Championship in Chengdu. Often a player who saves his best form for the second half of the season, it was not to be the case for Stevens in 2014 and he ended the campaign with a disappointing defeat to Tom Ford at the World Championship qualifiers, which saw his ranking drop to 19th. Despite an early season run to the quarter-finals of the Australian Goldfields Open, it was to be a difficult season for Matthew on the whole as he struggled both with his game and also matters off the table. There were however strong signs late in the campaign as first he reached the last 16 of the Welsh Open in Cardiff, before he repeated the feat at the World Championship, thrashing friend and countryman Mark Williams 10-2 at the Crucible. Although his run was to be ended in the next round by five-time champion Ronnie O’Sullivan, Matthew had at least ended the season on a positive note and regained a place inside the world’s top 32, having dropped out of that bracket ahead of the tournament.